Dubai is one of the most exotic, luxurious, and thriving modern metropolises in the Middle East. Dubai is a part of the United Arab Emirates and for the last couple of decades has made enormous strides in the area. Today, it is known for having an atmposphere similar to that of Las Vegas, and its wealth of luxuries and services. The climate in Dubai can be extremely hot with summertime temperatures of over 110 degrees. While Dubai is very arid and has practically no humidity, it still can be very uncomfortable for those who are not used to intense heat. However, with so many pools and air conditioned buildings, most foreigners do not experience the heat for more than a few moments each day. There are certain times of the year where the temperatures can be extremely hot or very mild. For instance, temperatures are usually in the 70’s to low 80’s between the months of October and March. At night, these temperatures drop even lower. Temperatures are extremely high between April and September, averaging in the 100’s with the possibility of sandstorms. There is sunshine almost everyday with infrequent rainfall during the winter months. Dubai is one of the seven independent emirates which each have its own ruler. It is part of the federation of United Arab Emirates (UAE). The UAE is a federal government which includes a president and council members. The UAE is a conservative and Islamic based government. However, the society is known to be open and quite modern. Dubai is the second largest emirate and has the largest population of all the emirates. The current ruler in Dubai is Sheikh Mohammed bin Rashid Al Maktoum. No visa is required for visits of up to 30 days, only a passport is needed. Visitors who would like to stay longer have to apply for a visa and complete the necessary requirements. The duration of stay is 6 months or more. More information about visas and residency requirements in Dubai is available at UAE Interact. The United Arab Emirates have no income tax collectively. However, individual emirates can have various income tax rates. Some emirates have a corporate tax rate of 55% for oil companies and 20% corporate tax rate for banking. There is also a rental and Value Added Tax. The health care system in Dubai is quite modern and very accessible. Training and equipment are on par with the United States’ and Europe’s. However, it might be very difficult to find medical services outside the city limits. For those who are working for a company, it should be very easy to acquire private health insurance. An entrepreneur or a short term expat should consider purchasing a travelers’ insurance policy that includes a medical component. Health care costs can be very expensive, but are usually moderate for most types of care. As of March 2006, foreigners are no longer restricted from owning or investing in property in Dubai. This new policy even allows foreigners to receive a freehold title. It should be noted that purchasing or investing in land does not automatically allow foreigners to become residents or even receive a visa to this emirate. Dubai has a reputation for luxurious living. This reputation attracts many wealthy tourists to this area. While moderate housing can be found, there are mostly high priced luxury apartments, condos, and beach front homes. Prices can easily go above one million dollars and there are many developments that cost several million dollars or more. A one bedroom apartment or condo on the lower end of the scale costs about US$500K. Short term visitors can usually find rentals to satisfy their budget. Smaller apartments or condos usually start at about US$1500, while larger properties cost about several thousand US dollars or more. Dubai has excellent shopping and those who love luxury goods and services will be extremely pleased. Most goods are imported, but finding basic necessities is usually very easy. Certain brands of necessities can be difficult to find, but there is no such problem for luxury items. Practically all top luxury brands are available in Dubai. There are many entertainment activites to choose from. However, it should be noted that Dubai’s government and culture are conservative and Islamic. It is imperative for foreigners not to offend or show disrespect when in Dubai. Women in particular should research about Dubai’s norms and customs. Dubai’s prices range from moderate to expensive. Dubai mainly seeks to attract wealthy tourists, so prices can be high for those who want to live moderately for an extended period of time. However, there are many bargains available, though it might take some effort to find them. 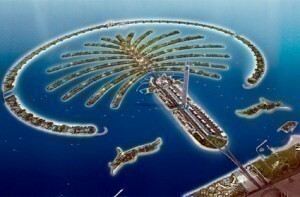 Country guide to Dubai from ExpatForum.com. Extremely well-researched article on things you should consider before moving to Dubai. Forty-something British web designer. Been living in Dubai for the last twelve years, absolutely had it with the astonishing pace of change. The general musings of an expatriate in Dubai.